Fast-paced hilarity on time constraints. For an Anime that runs 4-minute episodes, they actually feel beefy (or as beefy as 4 minutes can feel). 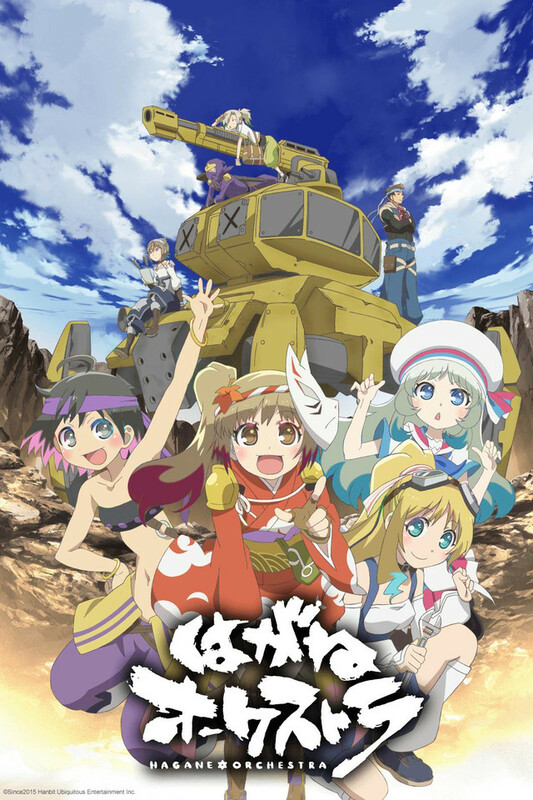 This Anime is far more entertaining and funny than it has any right to be, but it totally is. What's more, the voice-acting is really good, which is kinda' surprising since this whole series is LITERALLY a SELF-PROFESSED video game advertisement. Denouttaden. While it is just an add for a game, it is clever, humorous and self-aware of what it is. I feel that it could actually make an enjoyable anime but I doubt that would happen nor wood they have the game released in the US market. But all in all if you take it for what it is, you might enjoy this shameless marketing ploy. Short little clips, nothing crazy. I had fun watching all of them though. Advertising feels forced, dumb and cynical most of the time. The producers managed to make this into a fun little series with a likable (while generic- there's not a whole lot of time to flesh out characters) cast. I'm pretty sure the later episodes are probably the best out of the bunch. So yeah, it's a game I can't download, but I'm pretty much sold if it ever comes to the states. Some nice animation, some funny cliche stuff. Not a bad way to waste 5 minutes. I watched all 12 episodes. It's alright, more of a 3.5 than a 4, but some episodes were creative. It's a short-form comedy show that pokes fun at anime stereotypes and mobile game development and advertising and it doesn't take itself too seriously, so it's fun enough. You can watch the whole series in the time it takes to watch 1-2 episodes of a more traditional show, so it might be a way to kill some time for a while. The cast is mostly girls, but has a group of guy side characters that pop in every so often. Personally, I found the art style a little too simplistic and googly eyed, but the voice acting was good, and the "default hero" character (supposedly the guy the players portray in the game) is pretty funny. Some episodes weren't that great, but on the other hand, the ones that poked fun at anime and game tropes were pretty incisive and pretty interesting. I don't think you can play this game in America, but the show did a good job of making me want to, so I guess they did something right.